The afternoon of February 25th and snowing heavily. The computer rooms will be available to the public their normal hours today, 2-6. The Community Center is open. The parking lot is not plowed, but Metrobuses are running and walking is slow but possible. Last Sunday the City of Takoma Park, Housing and Community Develepment Department, hosted a conference entitled Going Green at Home. A web page will eventually be posted at the main City web site and you can currently see the conference schedule there in pdf. What follows is just a simple list of the speakers with links to the organizations they represent. A Formal suburban landscape using only Montgomery County native plants Dr. Sara Tangren Chesapeake Natives Inc. Solar application for residential: solar water heaters, solar photovoltaic Albert Nunez SKS-Solar King Supply, Inc.
Water conservation in the home Albert Nunez SKS-Solar King Supply, Inc.
Tony Ritchie of Olsson Books also brought a number of relevant books for sale. You can see a list at our books blog. Although we closed early a couple of days last week because of the weather, we opened at the usual times every day. This week we will be closed two entire days. Today, Monday the 19th for Presidents Day AKA Presidents' Day ... Washington's Birthday for the Feds. Friday the 23rd for an "employee appreciation day." This means some City staff members will be going bowling. Others will be here, but not enough to keep the library open and working properly. Lincoln's birthday? Last week on the 12th. Some songs. And arose like the sound of the sea. Unmar'd by the moan of a slave. 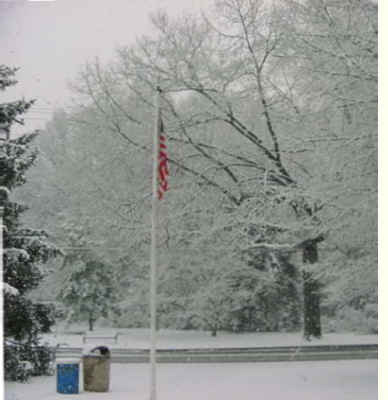 Watch this space for news of any change in library hours due to weather Feb 13-14 2007. The TWOs program for Wednesday, February 14th, is cancelled. The FTPML Reading Group discussion of the The Grapes of Wrath has been rescheduled from Tuesday, Feb. 13th to Wednesday, Feb. 21st. The valentine construction party is still scheduled for this evening, Monday 12th. We try to post all unscheduled closing information at cancellations.com. You can receive those notices by e-mail if you wish. We are open as usual today, 12-9.